The colorful Collared Aracaris (Pteroglossus torquatus), feeding on the side of the road, during a birding trip to the mainland. Today I am going to tell you a little bit about the Collared Aracari (Pteroglossus torquatus), this species can be found in a wide variety of different habitats: primary and secondary growth forests, forest patches, and plantations. As easy as they are to spot when they are flying, the are likely just as hard to find when they are quietly feeding in the mid-storey of a tree. When they feed, they swallow the entire fruit and then regurgitate several times, with the intention to get all the pulp from the fruit. These birds usually move in groups, roost and nest in holes of trees. 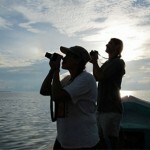 This species is not found on Bastimentos Island, but can be seen in many of the different locations where we go birding, mostly on the mainland. 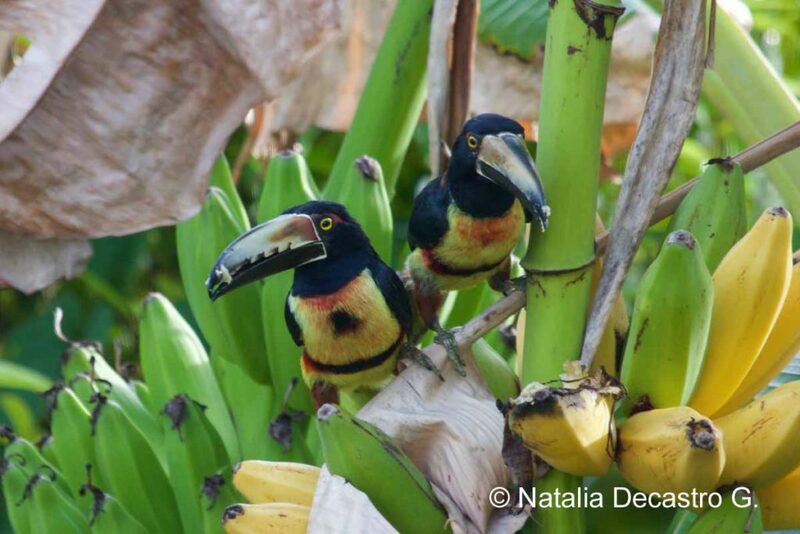 This entry was posted in Birding, Bocas del Toro Panama, Hiking, Photographs and tagged Collared Aracari by Natalia. Bookmark the permalink.